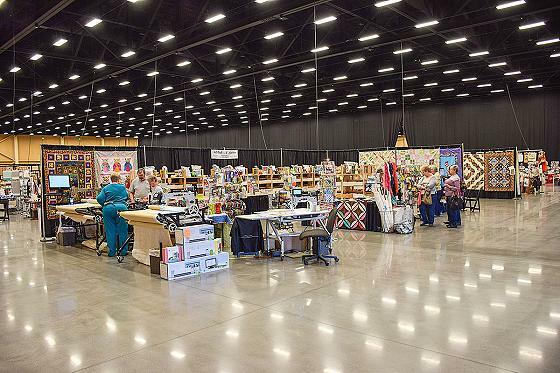 For two decades, professional and hobby quilters and aficionados from all over the country have come together at A Mountain Quiltfest in Pigeon Forge, TN, to celebrate the art of quilt making. 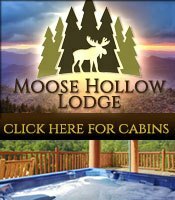 You&apos;ll spend hours admiring stunning creations, learning new techniques, and making lifelong friends with others who share your passion for the craft. There&apos;s something truly special about an antique quilt. Each one tells a story in its fabric choices, the patterns, and even the construction techniques. At A Mountain Quiltfest, you&apos;re invited to sit back and listen, as area quilters and guild members discuss the unique history of a variety of pieces made before 1964. Not only will you learn about the specifics of the quilt, but also why it was made, for whom, and for what occasion. Fans of Appalachian history are sure to enjoy this unusual glimpse into the past. Have your own piece of history you&apos;d like to know more about? Sandra Palmer, an American Quilter&apos;s Society–certified quilt appraiser, will be on hand to assess and appraise your treasured heirloom. Appraisals are by appointment only, so be sure to check in at the registration desk. With more than $20,000 in cash and prizes available, A Mountain Quiltfest is always a favorite among both professional and hobby quilters. But don&apos;t be intimidated by the thought of competing against the pros. Even beginners and young quilters will have an opportunity to take home a prize. Competition categories include large and small professional quilts, machine- and hand-quilted works, and non-traditional designs. Quilts are also categorized by size, with prizes awarded in large, medium, and small divisions, as well as a special category just for youth. So whatever your style or experience, you&apos;ll find a good fit. Not only that, but also the competition is free to enter and free to attend, so there really is no reason not to bring along that quilt you lovingly crafted. You never know, you might just walk away with top honors. In addition to the quilt show competition, A Mountain Heritage Challenge invites you to enter your work for possible inclusion as a permanent part of their collection. American Quilter&apos;s Society–certified judges will award cash prizes totaling $2,800. Entry fee for this competition is $12. Master quilters spend years practicing their craft and perfecting techniques. At this year&apos;s A Mountain Quiltfest, you&apos;ll have the opportunity to discover the secrets of creating stunning designs and piecing together traditional scrap quilts, as well as practical tips for quilting success. Renowned instructors from across the country include Marsha McCloskey, Hollis Chatelain, and Cindy Blackberg, as well as eight others. Classes begin March 17 and continue throughout the event. Registration is required. Saturday evening brings a truly special gift, with a lecture by television personality and quilting trainer Eleanor Burns. Eleanor is the pioneer of many of today&apos;s most popular techniques, and is perhaps best known for her “Quilt in a Day” series. She brings a unique insight to the stage for an entertaining and informative look at the art that will prove beneficial to both beginners and advanced quilters alike. Also, don&apos;t miss the vendor&apos;s hall, where you&apos;ll have a chance to see what&apos;s new in sewing machines, quilt frames, fabrics, and more. Whether you favor the more traditional construction techniques or have your eye on a bright and shiny new quilting machine, you&apos;re sure to find something to capture your imagination. Join your fellow quilters on Friday, March 21 for a dinner social followed by a grownup show-and-tell. Chat with other artists and fans over your meal, then show off your own quilts, share your expertise, and learn from one another. You&apos;ll enjoy not only a great meal, but also forge lifelong friendships with those who share your love of the craft. You may even win a new sewing machine just for attending. Reservations are required for dinner, but everyone is invited to Show & Tell, which begins at 6:30. Quilting is a colorful, practical craft that has endured for centuries, adding joy to family celebrations, soothing us in times of need, and bringing comfort to all. Whether you&apos;re a seasoned quilt maker, a hobbyist, or simply an admirer of the art you&apos;ll find something to love about this one-of-a-kind event. 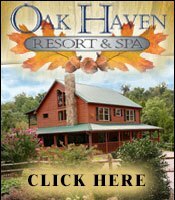 Learn a new technique, make new friends, and treasure the memories of a delightful look at the history and trends in quilting at A Mountain Quiltfest in Pigeon Forge. 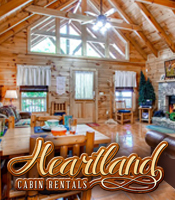 Get the most out of your quilting escapade by booking a traditional or luxury log cabin, charming B&B, modern condo, or hotel in Pigeon Forge during your stay. 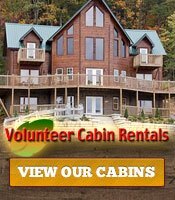 This area of the Smokies offers plenty of choices for you and your friends/family in every budget range.